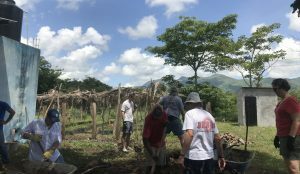 Joy is the word that keeps popping up for Pat Thompson when she describes her experience in Honduras. Pat was introduced to Olancho Aid about 5 years ago, through a neighboring parish, Holy Family Catholic Church of Brentwood, TN. 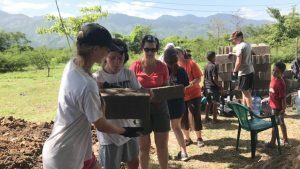 She joined their mission team so she could participate in the group’s clean water initiatives in Honduras. When she returned from the trip, she was full of joy and inspiration. That inspiration turned her into the leader of a mission from her home parish, St. Philip Catholic Church of Franklin, TN. One of the very special things about the group from St. Philip’s, is all the families that get involved. Pat says that its common for one or two family members to make the trip and to return home with lots of shared stories and experiences. It doesn’t take long for the rest of the family to decide they’ll join next year. 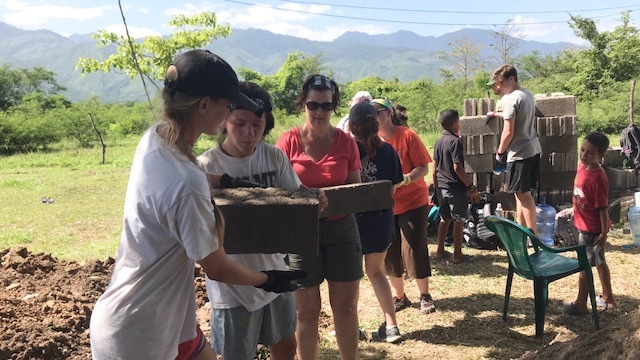 One teen told her parents that she was going to miss family vacation, since she would be going to Honduras again instead. She inspired them all to become part of the team. Without fail, the experience leads to strong bonds and special memories. 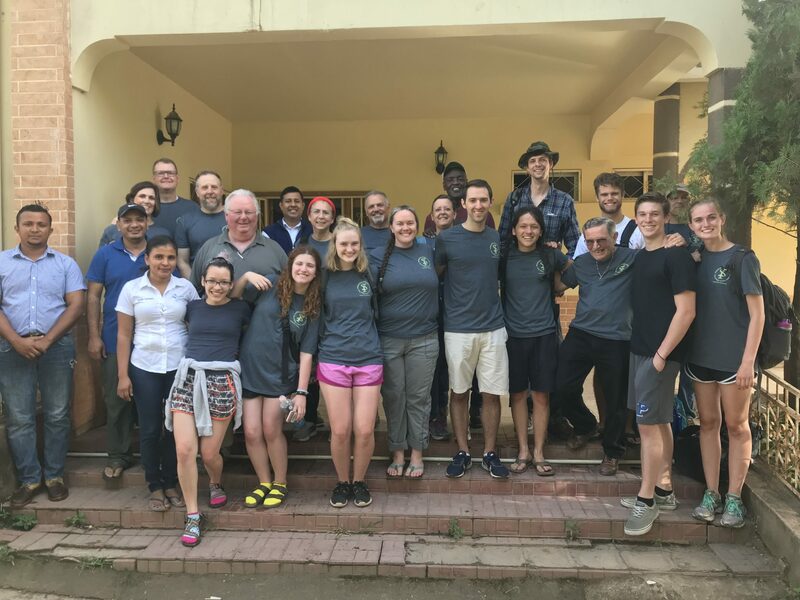 Several members of St. Philip’s join every year, returning to visit their friends in Honduras and especially the children they sponsor. You have the chance to answer it or to ignore it. Those who answer it go and do what God asks. Teens, university students, adults, and seniors come together on this team, ranging from under 18 to over 70 years old. Each one puts a special talent to use and has a role to fill. 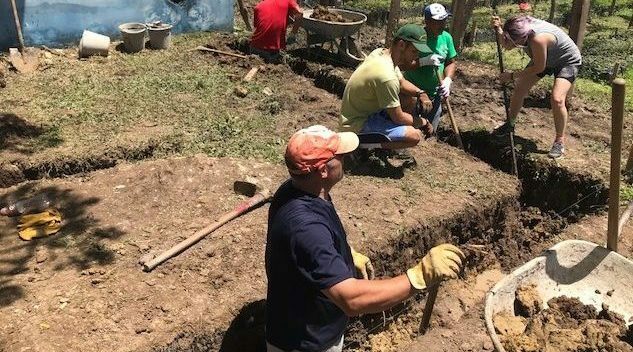 Since the group began coming to Honduras, they have built multiple clean water purification systems that now serve thousands of people in rural communities. They’ve also worked on other projects, including painting and distributing necessities like clothes and food. As long as they get to work hard, this group says they’ll do anything help! From the start, Pat knew it would be better to have some support for this project at St. Philip’s so she enlisted the help of a few others to be part of the leadership team. They help prepare everything ahead of the trip, including paperwork, travel reservations, fundraising events, and collecting donations. She says, “Olancho Aid takes care of you for the week, so there is no worrying once you get there, but making sure everything has been collected and that everyone is informed can be challenging.” After working together for 4 years, her leadership team has a system in place that works well for them. They thrive on the joy of both inspiring and being inspired through the experience. We are so glad that they do! 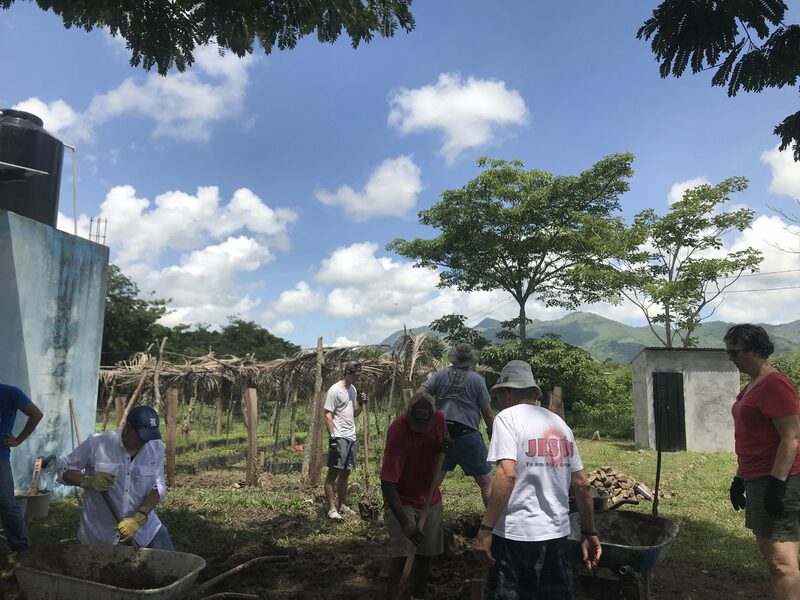 From all of your friends at Olancho Aid: thank you, Pat, and all the members of the St. Philip’s Mission Team!